Making And Sending Christmas Cards For Less Money. 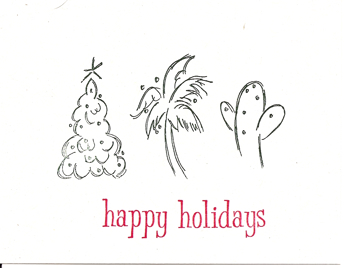 So my question to you is – Do you have any ideas for saving money on holiday cards this year? We’ve been using the digital camera+preprinted card+printer stuff for years. The preprinted cards are a little more expensive than plain paper, but they look prettier than COMPLETELY printing your own, and they are cheaper than the completely pre-made variety. Kind of a balance of frugal and nice. I send a lot of emails these days instead. I love your idea though, might put it on the list to do next year, as it’s always nice to get something handwritten in the post! Also, from a ‘green’ perspective, here in Australia we have a huge greeting card recycling program that runs after Christmas, where you can drop off your cards. We just went with Shutterfly. It costs a little more, but we sent three pictures of our wedding in a nice professional layout. Best part is that it didn’t take hours for us to send out. Well it might have been close to an hour and half, but we did something like 120 cards. Some of that time was simply gathering and printing addresses. We went with the wedding pics after ours too, everyone loved them! 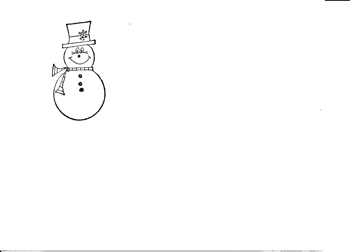 Thanks for the tips on making the holiday cards. I have an unrelated question — can you please explain how bloggers make money by blogging? It is tied to advertising? How do you go about making money once you start blogging? I am sure other readers of your site too find this information useful. Maybe in a future post Pam – that’s a big subject that can require a lot of information! I buy my christmas cards in the after christmas sales for the following years, I pay around 50 -79c (AUD) for each pack, I send my cards when Australia Post brings in the stamps for christmas cards (reduced rate for postage) and if I don’t use the cards I receive the following year for craft they go to the recycling programme we have here for christmas cards. Great idea! We do holiday pictures at JCPenney with a 50% off coupon, then send them out with holiday postage stamps discounted.